The products of the CLASSIC LINE can be used by anyone and are suitable for all skin types. They stimulate your skin’s natural ability to preserve its health and prevent ageing. From classic cleansing and care products to special problem solvers for hypersensitive, reddened, or allergic skin, women and men of all ages will find the right solutions for their needs in the CLASSIC LINE. Selected ingredients strengthen your skin’s structure and make the skin barrier more resilient. A combination of active ingredients from high quality plant extracts, vitamins, and trace elements restore the skin’s natural balance. 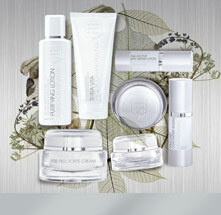 Firming, anti-ageing facial care with immediate effect for all skin types. Field pansy has cleansing, antiseptic, anti-inflammatory and soothing properties. Soothing facial care for in hypersensitive and dry skin.